Please take time to read the two eBooks (downloadable pdf’s) in the “Kendo Shiai/Shinpan Related Information:” section on our Dojo Training Guides page. Different parts will apply for different people in their roles for the upcoming Nabeshima Taikai. Please note the sections on scoring and setup, but everyone can gain a better understanding of the working parts of managing competitions. Practice tomorrow (Tuesday, March 31) will be kendo only, focusing on taikai preparation. A regulation size shiaijo (court) will be laid out. The practice is highly beneficial to members who will compete in Nabeshima Cup. Please make your best effort to join the practice and arrive early to help set up the shiaijo. In order to provide more time for kendo taikai preparation, kendo kata practice is canceled on Sunday, April 5. Iaido practice remains unchanged. Due to the incoming Nabeshima Taikai, we are making some adjustment to our regular Tuesday night practice. *Everyone including the volunteers please plan to be here on this night (April 7) so we can go over scorekeeping, shiaijo management, scoreboard management, etc. 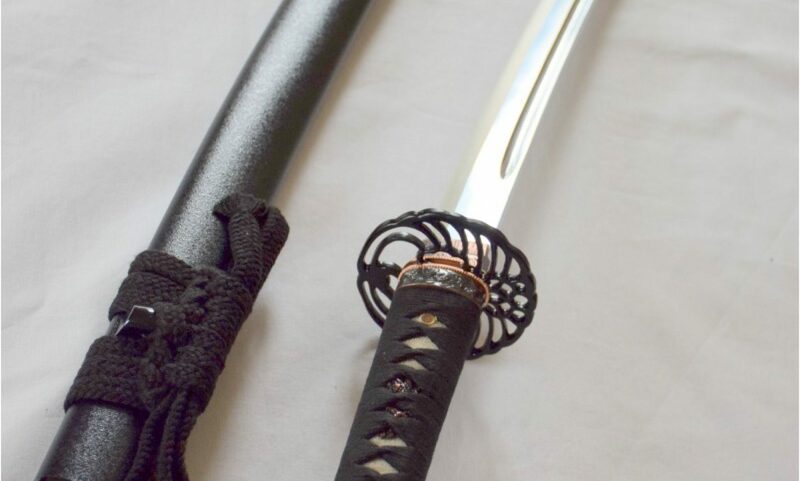 Tonight (March 24, 2015) there is NO iaido practice. Advanced Kendo Only. Because we used the whole day last Tuesday for the Iaido seminar. The Crow Collection of Asian Art is having a “Samurai Spring Break” as part of the Dallas Art District’s Spring Block Party. Tonight our dojo is being invited again to present an iaido and kendo enbu at 7pm and again at 8:30pm at the museum. The address is 2010 Flora Street. The enbu is at the Grand Gallery on the 2nd floor. There is no regular Kendo practice Tuesday, March 17, 2015 since the dojo is hosting a full day Iaido seminar that day at Walnut Hill Recreation Center. Next week is Spring break week for Greenhill School. As usual there is annual restriping of their parking lots. So next Thursday, March 12, 2015 we need to use the Spring Valley entrance on the south side of campus to get in and park our cars since Hornet Road entrance will be closed. Due to inclement weather, Greenhill School has made an announcement on their site that the school will be closed all day today. No practice tonight. Enjoy the snow and sunshine. The final version of registration packet which includes the shins form is here. Please bring your AJKF Iaido Manual per Nakamura Sensei’s request. For further details, please refer to NCKF site. If you have not yet done so, please reserve a room at the negotiated special Event rate at Hilton Lincoln Center before March 20, 2015. After this date, it would be regular rate due to American Country Music Award being held in Dallas on the same weekend.